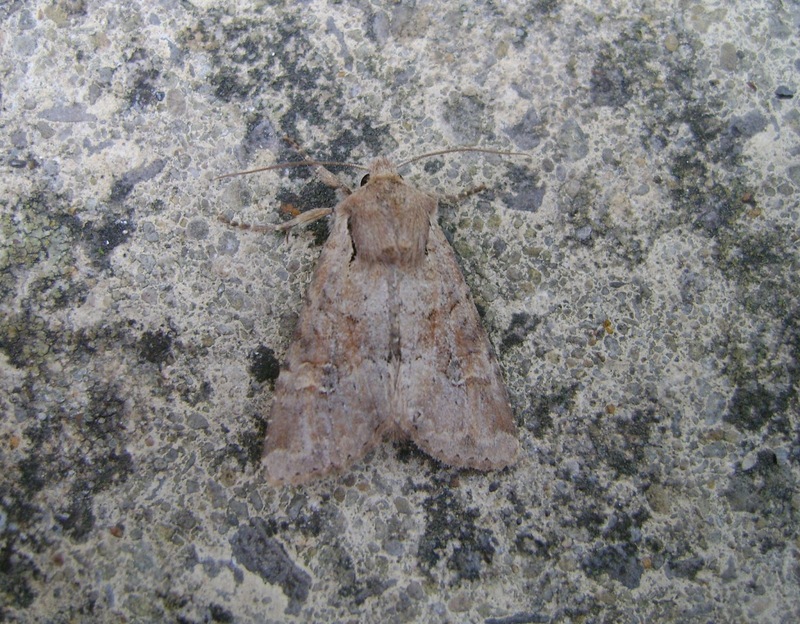 A bit disappointing last night (25/5) with two traps out in the garden at Pwll, another two left at the edge of mixed conifer woodland on the Stradey Estate and a further actinic on a nearby rank `rhos` site. The hoped-for conifer micros did n`t materialize and I suspect that it was a bit too cold for them. The remaining traps had a fair mix of seasonal moths but nothing really exciting, though I have retained a couple of micros. 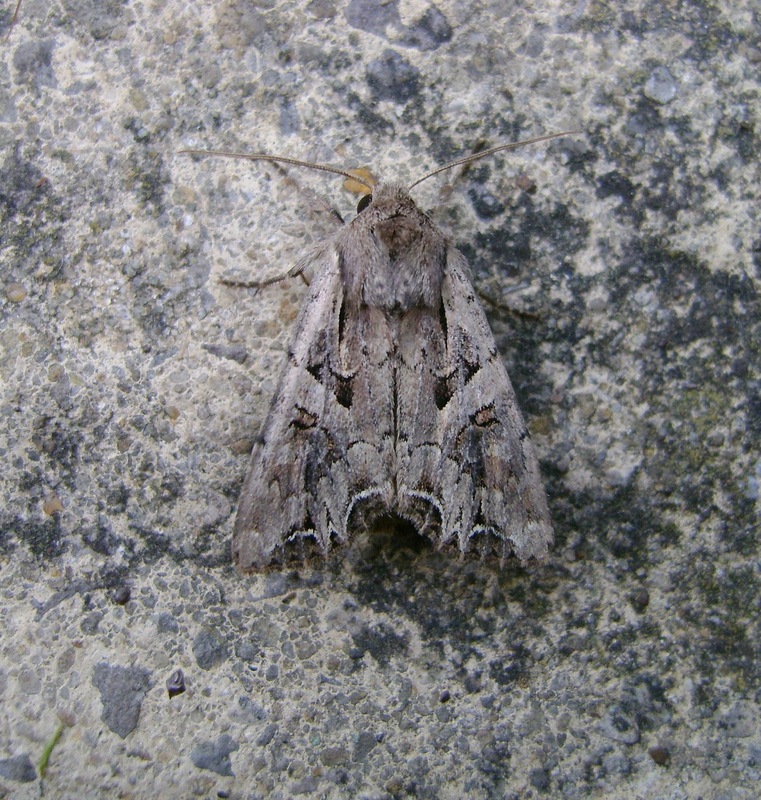 Above: a dog`s tooth, caught in one of my garden traps. 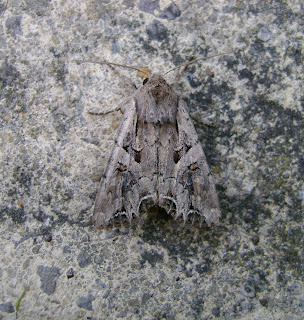 Above: rustic shoulder-knot, also from my garden. 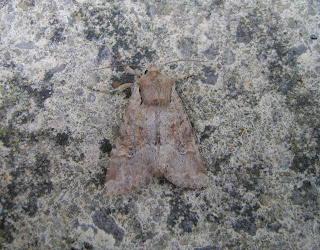 Good moths and nice pics, Ian. Despite the likelihood of early morning rain tomorrow, I shall be trapping tonight.